Bright white kitchens are becoming increasingly popular, and for good reason—they are gorgeous! Still, there are some drawbacks to an all-white kitchen that are worth considering. -White kitchens are bright and airy, and a bright space is naturally going to feel bigger and more modern than a dark space. -It’s versatile and can go with several styles, even as your style changes it can keep up. Plus, you can add any colors to the mix and they’ll match effortlessly. 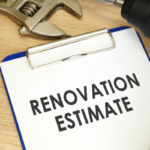 -Since so many people are yearning for white kitchens, it can help resell value if you plan to put your home on the market soon. Also, white kitchens go with so many different styles making them more attractive to a larger range of people. -There’s a push in the design industry to go back to basics and shy away from busy cluttered kitchens of the past. An all-white kitchen embodies this back to basics approach to design. But what about the drawbacks to an all-white kitchen? White granite countertops, white backsplashes and white cabinets may look beautiful but all that white is going to show dirt like a pair of white sneakers. And if you’ve ever owned white sneakers, you know what happens to them without regular care and cleaning. 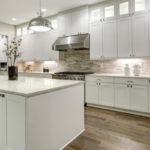 White kitchen cabinets are going to show scratches, scuffs, stains, and grease scum quicker than darker colored cabinets. 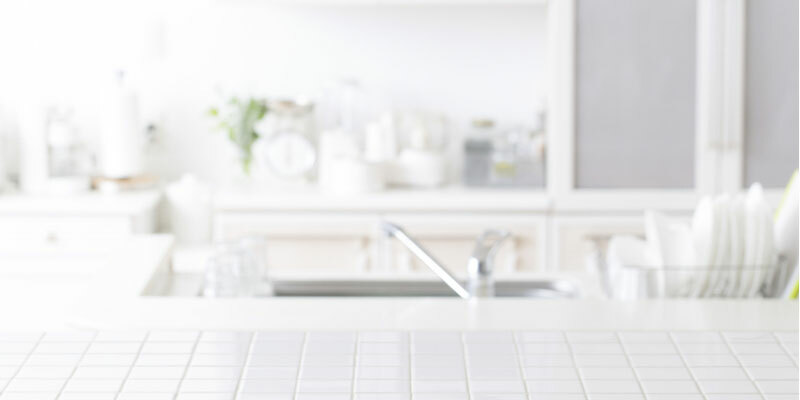 If you don’t mind putting in the elbow grease, a white kitchen can look great all year round. 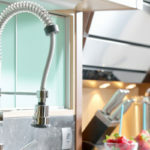 But it doesn’t just require more cleaning, you’ll also need to apply more skillful cleaning—it’s not always easy to get kitchen-related stains off white surfaces. If the rest of your home lacks the same bright white modern appearance, the kitchen might feel like it’s caught in the wrong time zone. If your kitchen opens to other rooms of your home, it’s even more important that styles blend in together. If your heart is set on a white kitchen, you might want to consider making some changes to other areas of your home so that the rooms blend better together. Too much white in the kitchen, especially glossy white surfaces, can turn overwhelming without warning. Careful that you don’t go overboard with white to the point your kitchen appears boring, stark, or too sterile to feel like home. Remember, even white kitchens can be welcoming with the right pops of color and other friendly elements. -Install glass face doors on a few cabinets and store bright China or dishes inside to give off more color and flare. -Use different shades and textures of white to mix it up some. Since white reflects light, different textures and qualities truly stand out. White stains easier than other colors and certain materials tend to lose their bright white coloring over time, taking on hues of yellow, off-white, or cream. For instance, laminate is prone to turning yellow or cream over time when regularly exposed to direct sunlight. 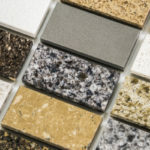 Higher quality materials will last longer, for instance white wood cabinets can be painted now and again, and light-colored granite should retain its coloring for many years to come. One of the pros to a white kitchen we commonly hear is that it’ll last forever and remain timeless. But since white kitchens have become such a hot trend, it’s very likely that 10-15 years down the road we will all associate white kitchens with a cool fad of the past. Don’t let this hold you back though, you can always repaint cabinets and add more color. Get the all-white kitchen of your dreams for less money than you ever thought possible! How? Simply visit Tops Kitchen Cabinets and shop our vast selection of cabinets, granite countertops and kitchen accessories, all at wholesale prices.